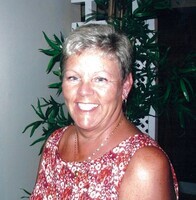 Provide comfort for the family of Linda Ferguson with a meaningful gesture of sympathy. 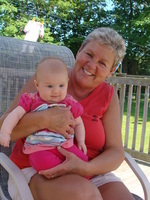 Linda Edith Ferguson, age 65 of Walkerton, passed away suddenly at home on Friday, March 15, 2019. Linda was the beloved wife for 48 years to Bill whom she married on February 5, 1971. Loving mother to Todd (Shelley) of Stratford, Mandy (Devin) Neilly of Walkerton, Tiffany of Kitchener, and Tyler (Kristy) of Guelph. 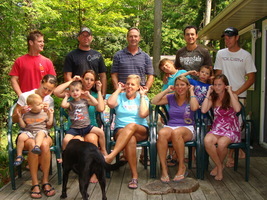 Proud Grandmother to Nathan, Callan, Keaton, Nolan, Brynley, Bryce and Max. Linda will be remembered by her brother Bruce (Mary Gordon) of Mount Forest and in-laws; Lynda (Dale) Watson, Barbara (Larry) Stortz, Bev Fettes, Blaine (Deby) Ferguson, Kevin Ferguson, and Faye (Joe) Meulensteen. Linda is predeceased by her parents, Daniel and Daisy Johnson, Bill’s parents Mel and Esther Ferguson, brothers-in-law Larry Ferguson and Jim Brownrigg, and sister-in-law Grace Ferguson. Linda will be remembered fondly as a devoted wife, dedicated mom, adoring grandmother, and loyal friend. She was truly one of a kind and anyone that knew her would agree. Linda was someone that you wanted in your corner. She lit up the room and could make anyone smile with her sense of humour. She would make friends anywhere she went. Linda had a nurturing soul and compassionate spirit as evidenced by her love for all animals and desire to help others. It seemed only fitting that she married a Vet. With dreams of becoming a nurse, she selflessly settled into the role of a young mom who devoted her life to raising a family. 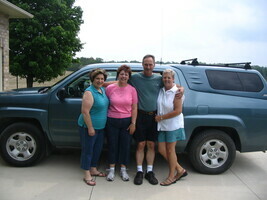 Linda had a green thumb and loved to be outside tinkering with her planters and shrubs on her beautiful property. You could often see her on the riding lawnmower with her headphones bouncing to a tune. Celebration of Life for Linda will be held from 1:00 p.m. to 4:00 p.m. on Saturday, March 23, 2019, at the Knights of Columbus Hall, Walkerton. Time of Remembrance at 2:00 p.m.
Time of Remembrance at 2:00 p.m.
Our sincere condolences and thoughts with the Ferguson family.